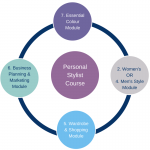 The Personal Stylist Course is perfect for you if…..
You’d love to create a Personal Styling Business for Women OR for Men. The Personal Stylist Course is the ideal solution to successfully launch your business in the image industry. You are looking to do something more creative and love to work with people building their confidence. 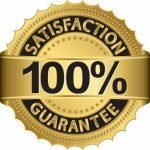 You may already run an existing service based business and be working as a life coach, alternative therapist, personal trainer, hairdresser, boutique owner or trainer. Covering all the Essential Image Consultancy Skills and perfect for you if you want to focus on Personal Styling for Women OR Men. This course is a condensed version of the Image Professional Course so once you are established; you can easily upgrade and study the extra modules if you wish. The course is very practical – focussing on the essential skills of Colour Analysis, Women’s Style OR Men’s Style, Wardrobe Management and Personal Shopping. To help your business get off to a flying start you also receive the online Business Planning & Marketing Module. The fee also includes all the necessary equipment you will need to get started: Colour Analysis drapes, swatches and visual aids; DVDs showing examples of colour and style consultations; a set of wardrobe sorting templates; a selection of fabric samples and an in-depth manual printed in full colour PLUS much, much more. To find out more about what is included, click here to download your Training Prospectus. 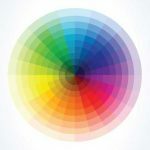 Offer colour analysis and style consultations to individuals and groups. You will be able organise and de-clutter wardrobes leaving clients delighted. 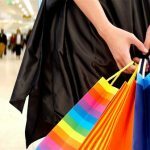 Shop effectively to find clothes and accessories relevant to body shape, colouring and lifestyle. To grab a place on the Personal Stylist Course you can either book online or call the office to pay by card or Bank Transfer. During the Personal Stylist Course I will be teaching and sharing numerous style secrets and strategies. 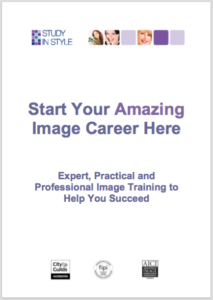 You will receive the training information, equipment, knowledge, support and templates to allow you to start your own image consultancy business. To learn more, read an excerpt from Melanie’s training diary for a first hand report about her Personal Stylist Course experience.